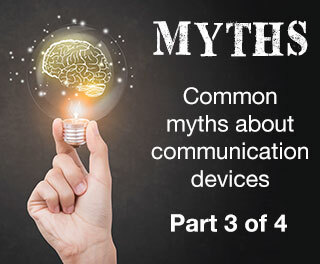 In the world of speech-generating devices, there are plenty of myths that exist about what these communication tools can and can't do. In a four-part series of short videos, Lingraphica tackles and debunks four myths surrounding these devices. Myth #3: "I understand what my loved one is saying, so they don't need a device."